Great Expectations: John Singer Sargent Painting Children investigates how John Singer Sargent (1856–1925), one of the foremost artists of his time, represented children in portraits and genre paintings. 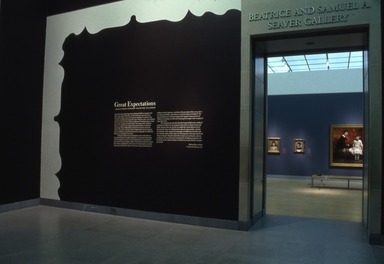 To underscore the centrality of childhood in nineteenth-century Western culture, the exhibition borrows its title from Charles Dickens’s 1861 novel, Great Expectations, which traces a boy’s passage from child to adult. The purpose of the exhibition, however, is to address how Sargent’s paintings satisfied or contradicted expectations about childhood that existed at the end of the nineteenth century. This process interweaves three fundamentally separate histories: those of childhood (in sociocultural terms), the iconography of childhood in Western art, and Sargent’s own career. Although children may not immediately come to mind when we think about Sargent, they appear frequently in several types of paintings he did throughout his career—in commissioned and non-commissioned portraits and in genre (thematic) subjects. 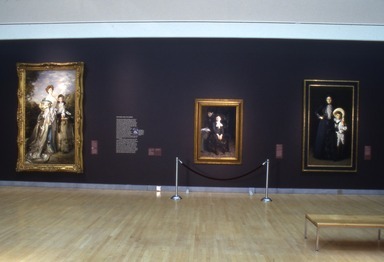 The portraits displayed here have been chosen to highlight the various means by which Sargent created the impression of individuality, that is, how the pose, lighting, and setting, in addition to facial expression, contribute to the perception of his young sitters as unique personalities rather than as visual stereotypes of childhood. The genre paintings were selected to suggest how Sargent’s representations of children can modulate or inflect the meaning of an image or the reception of a particular style. 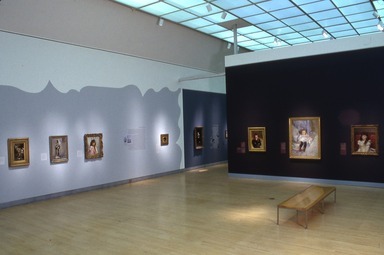 The exhibition presents the idea that Sargent deliberately exhibited paintings of children at crucial points in his career to shape critical and public opinion of his art; that his art yielded the uncalculated result of elevating the theme of childhood above that of sentimentality; and that his alteration of the traditional iconography of childhood coincided with new attitudes about children that were forming then in Europe and North America. Sargent’s thoughts about these matters are not known, and any conclusions we may draw must rest primarily on looking at Sargent’s art in relation to the cultural climate in which it was made and the reception it received. A child is commonly defined as a boy or a girl under the age of puberty, but the concept of childhood is essentially elastic; it is dependent on place, economic status, religious belief, and other variables having to do with cultural environment. Today the question of the nature of childhood remains unresolved: is it defined by age, physical and mental characteristics, behavior, or a combination of these factors in concert with the cultural variables mentioned above? Crucial changes in the notion of childhood occurred in Europe during the eighteenth century, when the child became a symbolic device to communicate revised philosophical views about mankind’s nature and rights. Two notable sources of these ideas were the philosophers John Locke and Jean-Jacques Rousseau, both of whom asserted that children should be valued for their inherent qualities, especially their innocence, and not merely as adults-in-the-making. Childhood as the personification of unspoiled humanity was codified in the art of the English painter Sir Joshua Reynolds, who often portrayed children seated in secluded, forested settings (see illustration). Picturing childhood in this way not only equated that stage of life with innocence and emphasized it as a natural, separate phase of existence but also invested it with an aura of nostalgia by reminding adults of the brevity of life and of a state of moral purity that cannot be reclaimed. Sargent’s intense study of the art of the past ensured his knowledge of the history of the iconography of the child and provided him with a basic visual language with which he could modify subject matter according to his artistic aims. It is not known if he was specifically attentive to the social study of childhood, but he did own a first edition of Rousseau’s landmark book Emile (1762). Yet Sargent’s awareness of contemporary social shifts (which included the redefinition of childhood) must be presumed for he was both witness and contributor to the cultural life of his time. What is more, cognizance of such cultural fluctuations was a traditional and essential requirement for a successful portraitist. Regardless of medium, most formal portraits of children are made for their parents. This was certainly true for John Singer Sargent’s family. His parents, Dr. Fitzwilliam and Mary Singer Sargent, had left the United States in 1854 to live in Europe, where the artist was born in 1856. 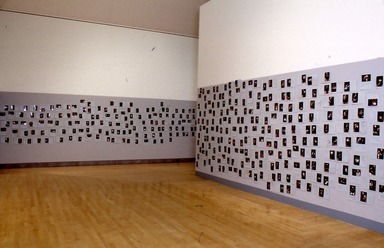 Many of Dr. Sargent’s letters to his family back home mention the welcome receipt of photographs and the enclosure of recent pictures of his own children (see illustration). The Sargents’ reliance on photographs to preserve family connections likely awakened the young John Singer Sargent to the purposes of portraiture, helping him to understand that a portrait is more than a likeness of a specific person: it has the potential to fulfill multiple, usually overlapping desires ranging from the aesthetic, documentary, social, and economic to the emotional. By most standards Sargent had an unusual childhood. His parents moved constantly, rarely remaining in one place for more than a few months at a time. Despite giving him little opportunity for formal schooling or developing sustained friendships, Sargent’s parents’ lifestyle provided him with a broad education founded on his exposure to the cultural riches of Europe. His love for drawing was especially encouraged by his mother, who was an amateur watercolorist. Despite Sargent’s unconventional childhood and lifelong bachelorhood, the facts of his biography and his paintings reveal that he valued and sometimes sought the domestic comforts offered by familial relationships. His paintings of children, whether members of his own close-knit family circle or the offspring of his friends, provide glimpses into his private life and may offer traces of his own feelings and attitudes. In the late 1870s Sargent made the transition from student to professional artist. 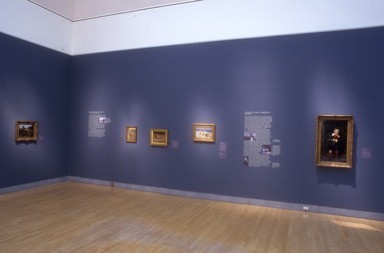 This exhibition aims to show that part of his early strategy for attracting critical attention to his art was to portray children in ways that either justified his use of avant-garde styles (by softening the potentially jarring impact of those styles) or in ways that scraped away the veneer of Victorian sentimentality that had reduced children to characterless, saccharine uniformity. Although he was American by virtue of his parentage, Sargent was European in terms of his birth, experience, and outlook. Paris-trained in the atelier of Carolus-Duran and at the prestigious Ecole des Beaux-Arts, Sargent, prodigiously talented, easily outstripped his fellow students. Fueled by ambition, he set out to establish himself at the forefront of contemporary art. 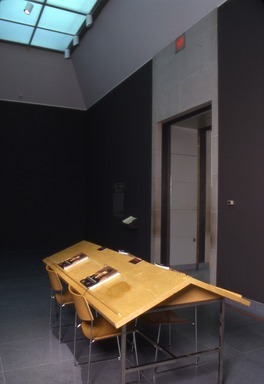 To do so he displayed his work at influential venues in the major art capitals of Paris, New York, and London—separate cultural settings that required equally separate strategies for the guarantee of critical success. 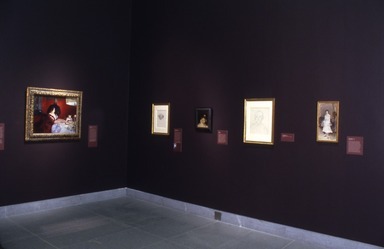 In addition to outlining how Sargent used child imagery in his campaign to introduce himself to international art audiences, this section of the exhibition also focuses on how Sargent revitalized the iconography of the child. 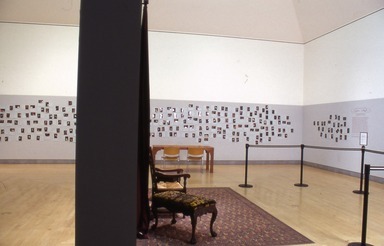 His treatment of the subject during a critical phase of his career shows that he was ready to challenge certain assumptions that buttressed academic hierarchies of professionalism—namely that childhood was a specialty usually adopted either by men of lesser talents or ambition or by women artists, who were supposedly naturally equipped to deal with the theme. Thus, Sargent’s use of a marginalized subject—the child—was not only unexpected but also integral to shifting childhood from its lowly status as iconographic souvenir and into the realm of high art. Sargent began to establish himself professionally in the United States in 1878, when he displayed Fishing for Oysters at Cancale (see illustration) in the first exhibition of the New York–based Society of American Artists, whose membership consisted mainly of young foreign-trained painters. Although the Italian-born Sargent had visited the United States by then only once, in 1876, and would not return until 1887, the sparkling French beach scene aligned him with the liberal aesthetics advocated by this American organization, which was perceived to rival the powerful and conservative National Academy of Design. The following year, in 1879, Sargent made a provocative bid for critical attention at the annual exhibition of the National Academy of Design by showing a single painting, the small Neapolitan Children Bathing (displayed here). In addition to bringing him critical laurels, the painting allowed Sargent to make his mark in a conservative artistic arena, where others of his generation and foreign artistic training had failed. Sargent entered the Paris atelier of Carolus-Duran in 1874 and quickly became the French master’s star pupil. In 1879, the year he left Carolus-Duran’s formal instruction, Sargent marked the occasion by showing a portrait of his teacher at the Paris Salon, France’s most important venue for art display. The portrait earned Sargent a spate of positive reviews, the award of an honorable mention, and, according to one of his father’s letters, six portrait commissions, two of which were probably Jeanne Kieffer and Robert de Cévrieux, both on view here. Sargent displayed paintings at the Salon and other Paris venues that would downplay the public perception of him as Carolus-Duran’s student, mainly by demonstrating the ever-widening range of his thematic interests and technical facility. The upward trajectory of his fame in France in the early 1880s was driven by the success of such varied and remarkable paintings as Madame Edouard Pailleron (in 1880), Edouard and Marie-Louise Pailleron (in 1881, on view here), El Jaleo (in 1882, see illustration), Portraits d’enfants (in 1882 and 1883, see illustration), and Venetian genre scenes. 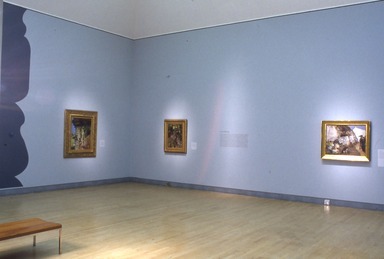 Sargent’s practice of showing paintings of children in alternating years helped to counterbalance his emerging reputation as a painter of the exotic and strange. Moreover, his portraits of the Pailleron children and the Boit sisters were unusual: the sitters were portrayed with gravity and emotional force. This new presentation of child imagery helped audiences grant increased importance to the subject. Controversial critical and public reception of Madame X (see illustration) at the Salon of 1884, however, led a disappointed and disillusioned Sargent to seek patronage in England, where he eventually settled in 1886. In 1885 Sargent set his sights on English patronage after experiencing the devastatingly poor reception of Madame X in Paris. Having exhibited occasionally in London since 1882 (without receiving much critical comment), he recognized that this new territory promised its own difficulties. Not the least of the problems to be overcome was the insularity of the English art establishment, which was notoriously indifferent, if not antagonistic, to artists (including Sargent) whose styles smacked of French influence. On entering this cultural milieu, Sargent would have noted that childhood was still a major subject in English art. This was partly due to the continued visibility of Sir Joshua Reynolds’s work (Sargent saw the 1884 Reynolds retrospective exhibition held at the Royal Academy of Arts in London) and the popularity of the paintings by Sir John Everett Millais, who was considered the contemporary inheritor of the Reynolds tradition, especially in regard to painting children (see illustration). The paintings of Reynolds and Millais were generally considered to be among the highest examples of English art production. At the other end of the aesthetic scale, however, were the many works by contemporary artists who had succumbed to popular public taste for vapid, humorous depictions of children to such a degree that critics complained about the “baby disease” that had infected English art (see illustration). 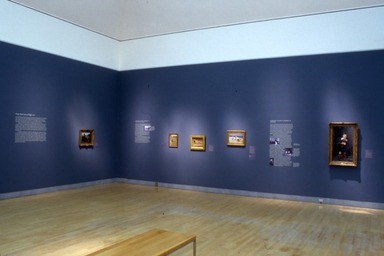 The paintings in this section show that at this point in his career Sargent applied different strategies to his portrayals of English children, sometimes conforming to traditional expectations and sometimes not, but all with the aim of separating his art from the mainstream. It is suggested here that by focusing on the appealing, essentially romantic subject of childhood, Sargent was able to escape criticism that would otherwise be leveled at his use of an impressionistic style. 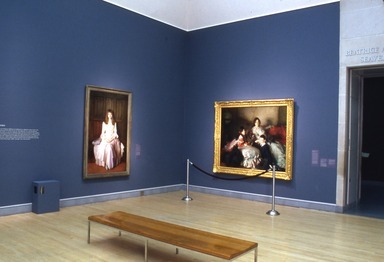 Two of the works shown here are representative of Sargent’s experiments in this area and may be seen as precursors to Carnation, Lily, Lily, Rose (see illustration), the painting that brought him acclaim when it was shown at the Royal Academy in 1887 and purchased that year for the English national collection. Since youngsters do not usually possess the biographical apparatus commonly used by historians to analyze the layered meanings of portraiture—lived experience and accomplishments that contribute to a firmly established sense of identity—Sargent’s portraits of children are often difficult to interpret. He sometimes complicated the matter of “reading” his images of children by stripping them of such common child-defining attributes as toys, books, or pets or by depicting them with expressions or in poses that suggest personal volition. We are obliged to acknowledge his young sitters as individuals. Two photographs of a young John Singer Sargent are vivid reminders of the vagaries of posing (see illustrations). The results may be dissimilar enough to convince us that we see two different individuals: one an uncomfortable little boy standing mannequin-like and expressionless; the other a more personable little fellow adopting a pose with self-conscious grace. We can imagine that the boy Sargent changed his poses in response to prompts from his parents or the professional photographer. Sargent’s child subjects experienced similar, but more lengthy posing sessions from which came a single, final product of the artist’s subjective and creative responses to his sitters. Thus, whatever visual “truths” may be implied in these painted images, it was Sargent who orchestrated the entire effect. 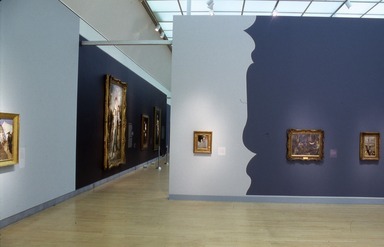 The paintings in this section depict sitters who were professional models and those who were not. Taken together, they invite consideration of the circumstances in which the paintings were made and how the age, experience, and social environment of the sitters may have inspired Sargent to adjust the ways he depicted them. Numerous accounts attest that Sargent’s adult subjects often flagged under sometimes emotionally fraught and physically grueling portrait sittings. If posing was an ordeal for adults, what was it like for children (who traditionally had neither control in the matter nor vested interest in the result)? Conversely, what was it like for Sargent to paint a child, who was too young to understand the purpose of the process? Throughout the 1880s Sargent received mixed reviews for his art. Although few writers denied his enormous talent as a painter, many critics defined his work as “clever” or “superficial,” and some potential patrons were put off by what they considered his irreverent, undignified portrayals of his sitters. As a reviewer of his first one-man exhibition (in Boston, in 1888) stated: “Boston propriety has not yet got over the start . . . Sargent’s [art] . . . gave it; it fairly jumped at the first sight, and on second thoughts did not know whether it ought to feel really shocked or only amused.” Approximately one-quarter of the paintings in the Boston show were portraits of children, among them Caspar Goodrich and Ruth Sears Bacon (on view here). These paintings escaped adverse criticism, partly because Sargent’s rapid, summary brushwork seemed appropriate for child subjects and also because it was (and is) admittedly difficult for most people to react negatively to youngsters. Thus, Sargent’s portraits of children from prominent American families helped to counteract anxieties about his suitability as an artist. 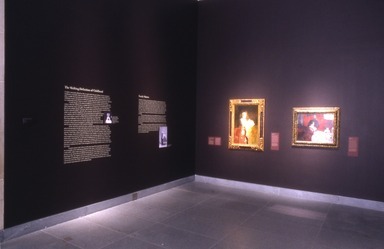 Sargent continued to reorient critical and public opinion of his art through child imagery, as witnessed by the nine paintings that represented him at the 1893 World’s Columbian Exposition in Chicago, four of which featured American children and included Mrs. Edward L. Davis and Her Son, Livingston and Portrait of a Boy (Homer Saint-Gaudens and His Mother) (both on view here). Critics found parallels between child imagery and the nation’s evolutionary passage from cultural infancy to maturity. Additionally, these wholesome representations of American children helped to allay growing fears of “degeneration”—a theory that evolutionary change, whether in terms of a family, a race, or a nation, was not always a progressive process. In this context Sargent’s depictions of children helped to support the optimistic belief that the nation’s evolutionary progress was positively forecast in the coming generation. For Sargent, who maintained permanent residence in England from 1886 until his death, it meant that his reputation in the United States was securely domesticated and nationalized. Sargent’s portraits of mothers and children on view here are continuations of the Grand Manner tradition by virtue of such characteristics as large scale, full-length formats, and the generally formal presentation of the sitters. Yet within the range of Sargent’s updated Grand Manner style, distinctions of class and nationality may be discerned, stemming in part from the artist’s personal reactions to his subjects, the varied requirements of the commissions, and the settings that the paintings would occupy. Thus, for instance, it was appropriate to portray the countess of Warwick and her son in a way that intentionally recalls the art of Sir Joshua Reynolds (see illustration), since the painting would be part of the aristocratic English family’s collection of ancestral portraits. In contrast, Sargent’s portrayal of Mrs. Edward L. Davis and her son in a less formulaic visual language may conjure the idea of a plain New England heritage. Despite their differences, these portraits can be united within the broader iconography of the Christian Virgin and Child. Such associations were frequently made in the nineteenth century and are exemplified by a passage from Estelle M. Hurll’s 1895 Child-Life in Art: “The poetry of childhood is full of attractiveness to the artist. . . . The Christ-child has been his highest ideal. All that human imagination could conceive of innocence and purity and divine loveliness has been shown forth in the delineation of the Babe of Bethlehem. The influence of such art has made itself felt upon all child pictures.” Although Sargent’s portraits do not overtly evoke religious doctrine, the images often embraced the meaning of the divinity of the mother-and-child bond for nineteenth-century audiences. About 1890 the years bridging childhood and adulthood were subjected to intense study in the United States and Europe. It was believed not only that adolescence was a period of physical transformation but that it was also an evolutionary stage in human consciousness that paralleled the phases in the development of the species itself. The sudden attention given to adolescence was attributable partly to the “lengthening” of childhood brought about by the growing number of labor and education laws, which tended to delay the financial and social independence of young people (or at least those from largely middle- and upper-class urban families). The allure of mapping Sargent’s masterful painting techniques often overrides investigation of the content of his art. What is more, his fame as a portraitist has complicated the analysis of his work from the earliest years of his career because portraiture promotes interpretations based primarily on physical likeness and the facts of the sitter’s biography—and not necessarily on a network of ideas. 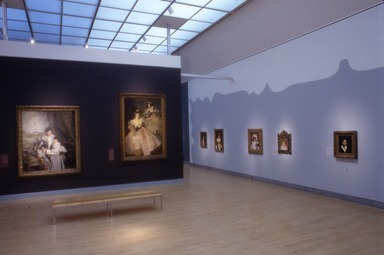 The subjects of Sargent’s art, however, extended far beyond the boundaries of portrait painting and encompassed a broad spectrum of themes that can be seen in his mural paintings (essentially history subjects), watercolors, and a large body of oils featuring landscapes and figures. 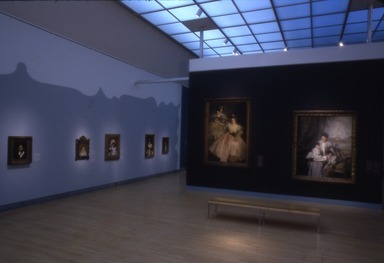 The last category is represented by this small group of genre paintings spanning nearly forty years of Sargent’s career; it shows anonymous people going about ordinary, day-to-day activities. On the assumption that Sargent was just as intent on conveying meaning as he was in perfecting the formal elements of his art, the paintings in this section are brought together to illuminate the ways in which he focused on childhood as a means to create content. September 8, 2004 The Brooklyn Museum will present Great Expectations: John Singer Sargent Painting Children, the first exhibition to examine the role of child imagery in the art of one of the foremost painters of the late nineteenth century. 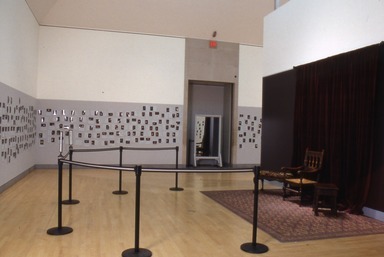 The exhibition of approximately 43 works on loan from important domestic and foreign collections includes commissioned portraits, portraits of family members and friends, genre paintings, and works portraying professional child models. 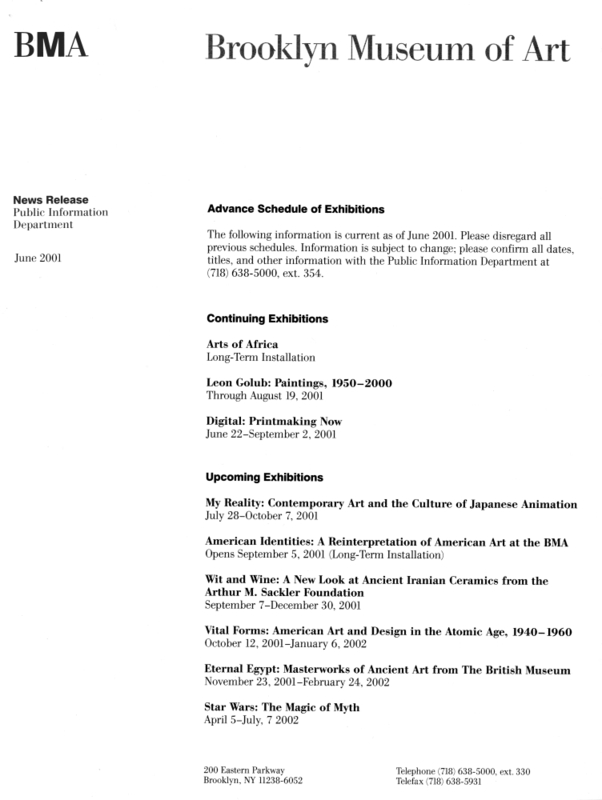 Great Expectations is organized by Barbara Dayer Gallati, Curator of American Art at the Brooklyn Museum, where the exhibition will be on view from October 8, 2004, through January 16, 2005. 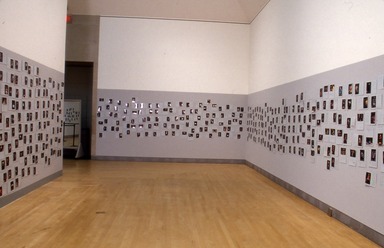 It will be presented at the Chrysler Museum of Art, Norfolk, Virginia, from February 25 through May 22, 2005, and at the Portland Art Museum, Portland, Oregon, from June 18 through September 11, 2005. 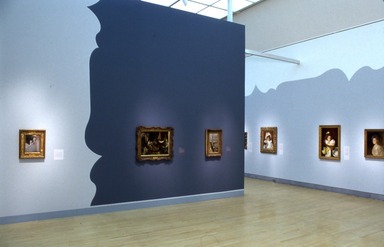 This innovative look at a discrete segment of Sargent’s output will reveal that paintings of children represent undisputed milestones in his career and that he deliberately displayed them at strategic moments to reorient critical and public opinion of his work. In the United States, his images of children created an audience eager to claim him as American despite his foreign birth and training, cosmopolitan life style, and notoriously “irreverent” portrayals of his adult sitters. In France, much of his early success was built on uniquely arresting portraits of children that not only declared his professional independence from his famed instructor, Carolus- Duran, but also helped to demonstrate the ever-widening range of his thematic interests. In England, his child subjects often evoked Romantic associations linking childhood with innocence and, as a result, veiled the impact of his avant-garde techniques, making his paintings palatable to audiences who otherwise resisted the incursion of contemporary French aesthetics into the insular English art world. 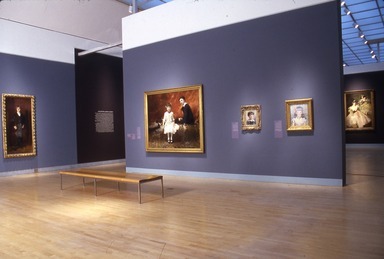 The exhibition also maps Sargent’s alterations of standard iconographic formulas and how his portrayals of children as psychologically complex individuals helped to remove the subject from the grip of Victorian sentimentality, elevating it to a higher level in the hierarchy of artistic subject matter. 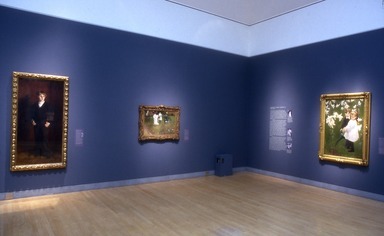 In addition to including some of Sargent’s most famous and noteworthy canvases (among them, The Pailleron Children, Garden Study of the Vickers Children, and Mrs. Carl Meyer and Her Children), the exhibition will display fine, little-known paintings, some of which have not been exhibited since the first decades of the twentieth century. Executed over a four-decade period, they range from the first known oil portrait by Sargent (a circa 1875 portrait of his five-year-old sister Violet) to The Tyrolese Crucifix, a genre subject begun in the Austrian Tyrol during the early months of World War I. Great Expectations: John Singer Sargent Painting Children is made possible in part by the generosity of Jan and Warren Adelson. 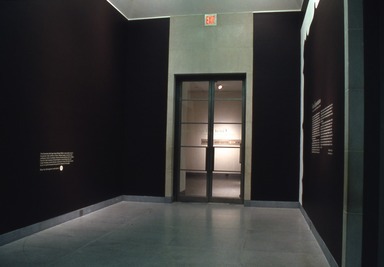 Additional support is provided by Ron and Barbara Cordover, the Brooklyn Museum’s Richard and Barbara Debs Exhibition Fund, the Gilder Foundation, Michael Humphreys, Ed and Deborah Shein, the Lunder Foundation, and the Museum’s American Art Council. The Federal Council on the Arts and the Humanities has granted an indemnity for this project. Where New York is media sponsor. Great Expectations: John Singer Sargent Painting Children is accompanied by a book of the same title by Dr. Gallati, with contributions by Erica E. Hirshler, Croll Senior Curator of Paintings in the Department of the Art of the Americas at the Museum of Fine Arts, Boston, and Richard Ormond, director of the John Singer Sargent Catalogue Raisonné Project. Co-published by the Brooklyn Museum and Bulfinch Press (Time Warner Book Group), the book is 256 pages and contains 100 black-and-white and 94 four-color illustrations. It will be available October 2004. John Singer Sargent (1856–1925) was a leading force in the revival of society portraiture in Britain and America at the end of the nineteenth century. While best known for his portraits of fashionable and wealthy elite on both sides of the Atlantic, he also gained deserved respect for his landscape and genre subjects, as well as for his work as a watercolorist and mural painter. Sargent was born in Florence, Italy, slightly more than a year after his parents had moved to Europe from Philadelphia. The family traveled the Continent extensively throughout his youth, and early on he exercised his desire to draw and paint under the stimulus of the Old World atmosphere in which he was raised. His principal art training was from the Parisian master Carolus-Duran (1837—1917) with whom he studied from 1874 to about 1879. He officially marked the end of his student days with the display of his now famous portrait of Carolus-Duran at the 1879 Paris Salon. Although he maintained permanent residence abroad, Sargent considered himself an American and, in addition to intermittently working in the United States, was actively involved in the American arts through commissions, exhibition and organizational affiliations, and friendships. In the early 1880s Sargent was headquartered in Paris, where he was in contact with the major artistic and literary figures of the era, including Henry James, Claude Monet, and Giovanni Boldini. Following the disastrous reception of his painting Madame X at the 1884 Paris Salon, however, he spent increasing amounts of time in England and, by 1886, he had settled in London. The strength of his talent kept him above the often petty political divisions that defined the art world of his time, as witnessed by his memberships in such varied and often competing organizations as the Society of American Artists, the National Academy of Design, the London Royal Academy, and the New English Art Club. His work was included in nearly every major international exhibition from the late 1870s until his last years and almost invariably won official acclaim. He was decorated by the French, Belgian, and German governments, and received honorary degrees from, among others, Harvard, Oxford, and Yale universities.